Burger Friday: The Test Tube Burger - $290,000 Big Ones! Crossing a whole heap of moral boundaries comes this news story about beef grown in a test tube. Regardless of your moral stance on whether this is right or wrong, our kudos go out to a man who is willing to spend that much time and money on developing a burger. The burger itself I am sure would lose points on our value section ($290k and no beer included), but regardless given the proposed chef being Heston Blumenthal I am sure it would score well on taste. Given that the burger has not yet been proven itself worthy and is already the most expensive burger in history we think this burger has a lot of the Tom Scully’s about it. 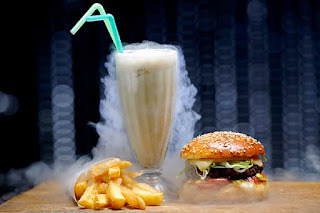 In case this wealthy individual funding this project sees this blog, we would like to make him an honorary Fellow of Burger Friday in the hope that he would feel the need to sponsor Burger Friday’s noble pursuit of finding the best burgers in town. LURKING in a petri dish in a laboratory in the Netherlands is an unlikely contender for the future of food. The yellow-pink sliver is state-of-the-art in lab-grown meat and a milestone on the path to the world's first burger made from stem cells. Dr Mark Post, the head of physiology at Maastricht University, plans to unveil a complete burger - produced at a cost of more than $290,000 - this October. He hopes Heston Blumenthal, the chef and owner of the three Michelin-starred Fat Duck restaurant in Berkshire, southern England, will cook the offering for a celebrity taster. The project, funded by a wealthy, anonymous, individual, aims to slash the number of cattle farmed for food and reduce one of the major contributors to greenhouse gas emissions. ''Meat demand is going to double in the next 40 years and right now we are using 70 per cent of all our agricultural capacity to grow meat through livestock,'' Dr Post said. ''You can easily calculate that we need alternatives. If you don't do anything meat will become a luxury food and be very, very expensive.'' Livestock contribute to global warming through unchecked releases of methane, a gas 20 times more potent than carbon dioxide. At the American Association for the Advancement of Science meeting in Vancouver, Dr Post said the burger would be a ''proof of concept'' to demonstrate that ''with in-vitro methods, out of stem cells we can make a product that looks like and feels and hopefully tastes like meat.'' Dr Post is focusing on making beef burgers from stem cells because cows are among the least efficient animals at converting the food they eat into food for humans. Dr Post and his team have so far grown thin sheets of cow muscle measuring 3 centimetres long, 1.5 centimetres wide and half a millimetre thick. To make a burger will take 3000 pieces of muscle and a few hundred pieces of fatty tissue, that will be minced together and pressed into a patty. Each piece of muscle is made by extracting stem cells from cow muscle tissue and growing them in containers. The cells are grown in a culture medium containing foetal calf serum, which contains scores of nutrients the cells need to grow.